Remove sharp debris. Lay the fabric underlayment and ruber liner. 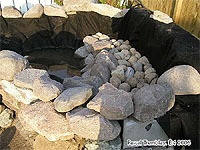 Add another layer of fabric over pond liner to protect it. Place the rocks for edging. Consider the level of water in the pool for flowing over the spillway stone. 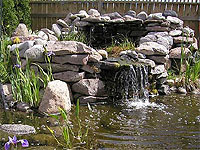 There is no problem about realistic look of your pond waterfall. It will take some time before to become naturalized. 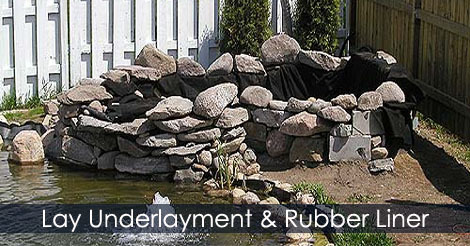 Learn how to install pond waterfall underlayment fabric and rubber liner.